Us Brits understand that rap is one of America’s greatest exports, calmly slotting in next to McDonalds, the swivel chair (invented by Thomas Jefferson, of all people), and that weird plastic looking cheese we stick on our burgers in the three brief weeks the sun shines on our glorious island. The thing is, as much as we can comprehend the brilliance and genius of rap music, it isn’t ours. Not really. Rap is credited to the Bronx, Los Angeles, the Bay Area, Atlanta, and Detroit. Going beyond the amorphous tapestry of fountain sized refills, basketball shoes and the restaurant franchises that uncultured folk usually associate with the USA, hip-hop reflected back a more honest, brutal and beautiful, portrayal of America. As an aural form of reportage, it gave us an insight into the country’s culture. One that didn’t exist in an Olive Garden, or an episode of Friends, but in the traphouses of Georgia, or the streets of Bed-Stuy, Brooklyn. Looking into America through the lens of, say, Eazy E as he crawled down Rosecrans Avenue in a Chevrolet Impala was an exciting and altogether revolutionary proposition, but while it opened a cultural window into another world it didn’t reflect our reality here in London. Our slang is different; and the cultural ticks that separate a rapper in Houston from a rapper in Oakland are even more vast when a London MC is thrown into the mix. So one day back in the early 2000s, a bunch of guys from East London started their own music scene: an entirely British genre called grime, that has as much to do with our own homegrown scenes of jungle and garage as it does the hip-hop that was born in the United States. 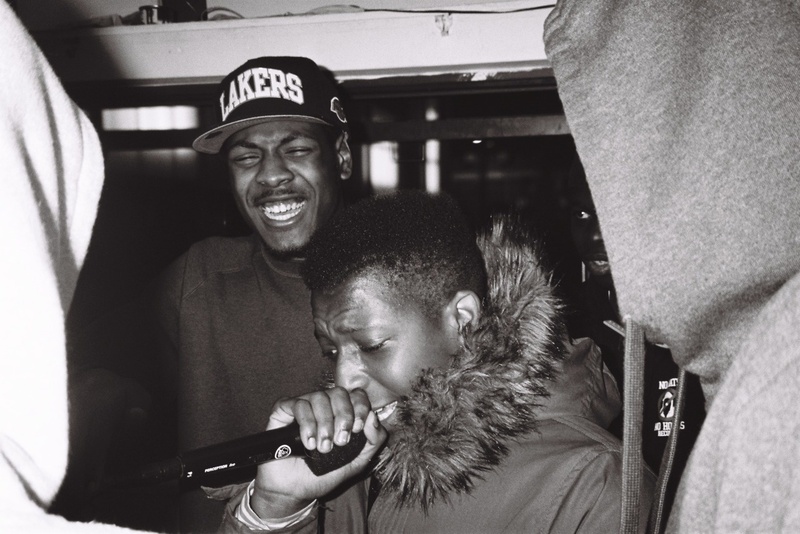 While grime and hip-hop are arguably separate entities in the sense they’re built on different genres, they do share two similarities: they both involve spoken word, and they both tell stories of an inner-city environment that has otherwise been ignored, and is begging to speak to the world. Oh - and while rap plays a dominant part in USA’s youth culture, grime has that same foothold on Britain’s teens. All of which is to say, the current focus on grime that’s been happening over the last year or so is as exciting as it is culturally important. For years, we’ve heard about Dr Dre, Jay Z, and Mike Jones. Now music fans in the States are coming to learn about Wiley, Dizzee Rascal, and Skepta. It’s genuinely stimulating to see it take off.